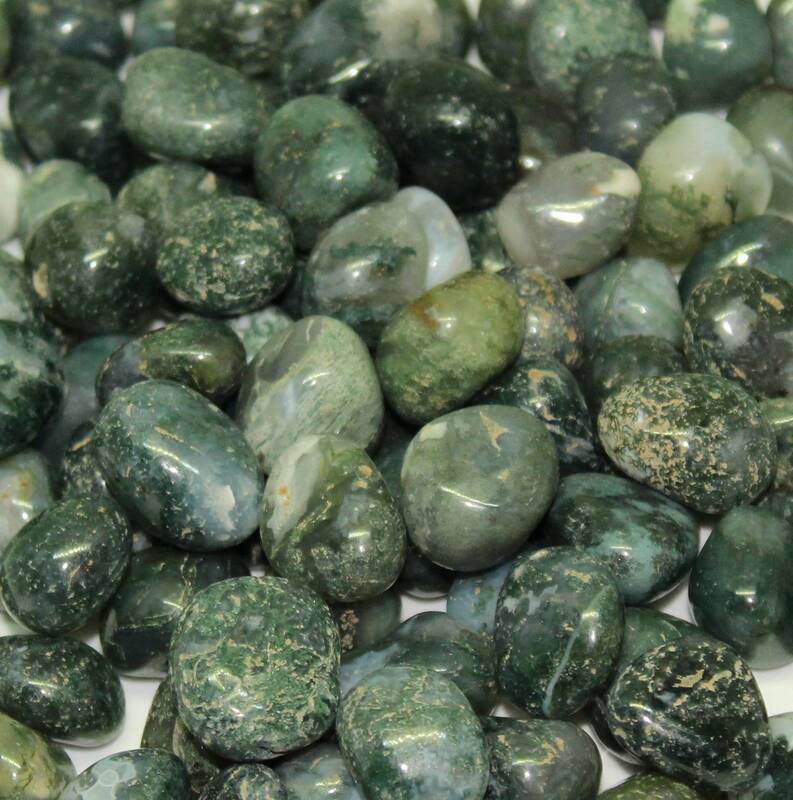 Lovely green Moss Agate tumblestones, available in a few different sizes. Gorgeous mixed colour green stones with interesting surface patterns which give the stone a ‘mossy’ appearance. These stones make a nice contrast stone against white or clear tumblestones. Perhaps they’d look good displayed in a vase, or a bowl? They’re also suitable for fishtank or aquarium gravel. These Moss Agate tumblestones come in a range of sizes, ranging from 10-15MM up to larger 30-40MM stones. 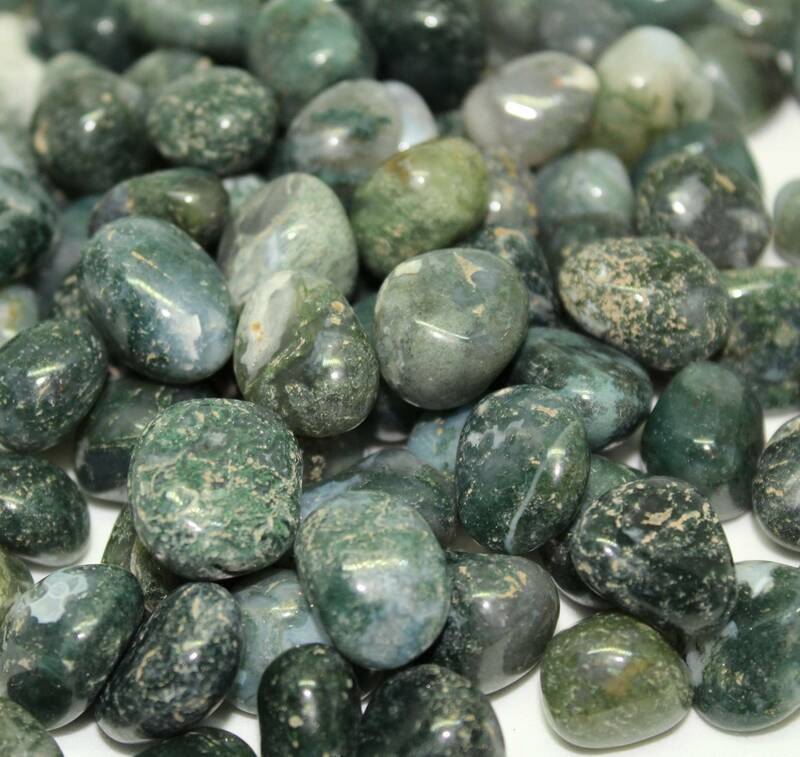 The more you buy, the cheaper these tumblestones get – up to a point, of course! 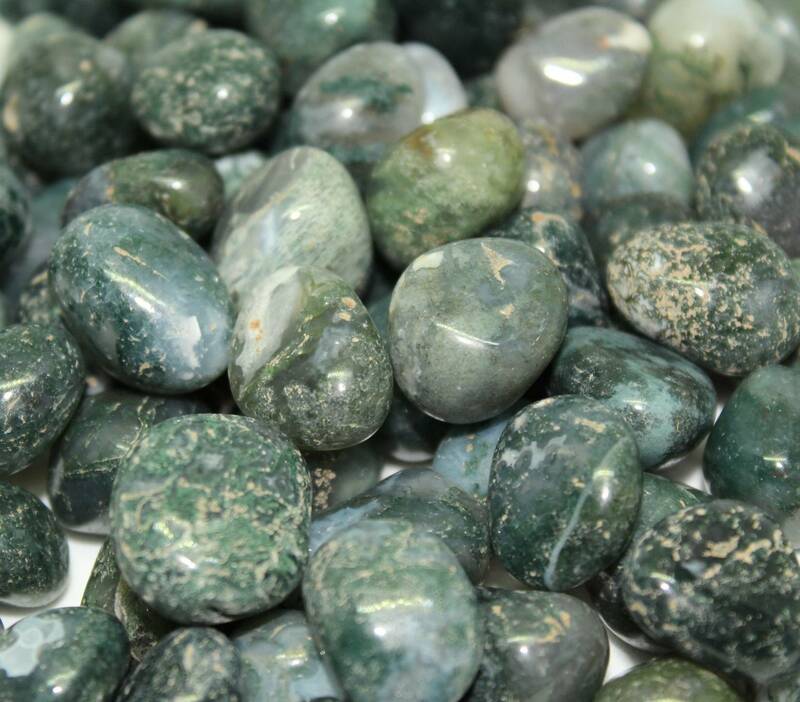 For more information about Moss Agate, including geological information, and a full list of our related products, please check our ‘Moss Agate’ page. We do sell a large variety of tumblestones, too – including several other types of Agate. See our tumblestones page for a full list.